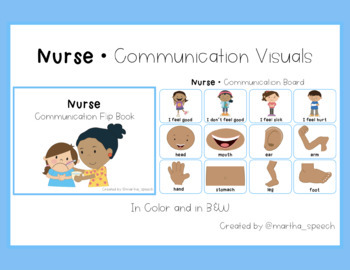 This product is a resource of simple visuals - compiled in either a basic flip book or communication board - to help individuals communicate with a nurse. 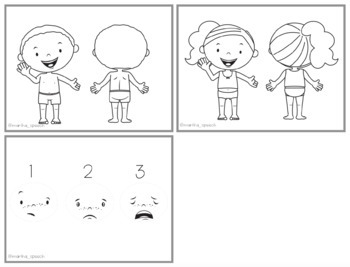 It could be used by nursing staff (for example, in a school), it could be used by a teacher or aide, or it could be used a teaching tool when the child is visiting the doctor and sharing how they are feeling! It's versatile! The product comes with a flip book and a communication board. 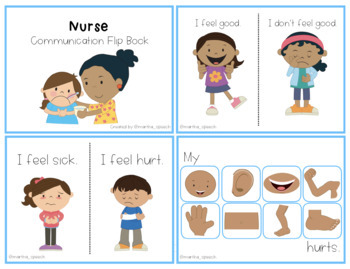 The flip book models how to share how you're feeling, how to share what hurts, provides front/back pictures for pointing, and a pain scale of 1-3. 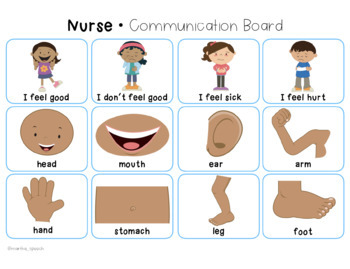 The communication board has basic "I feel" statements and then provides body parts for easier communication about what is bothering the person. It comes in color and in black & white for easy printing!